Hormone is an endocrine factor. It almost determines all important functions and organs of the body such as growth, development, rhythm, and metabolism of food. Because of these reasons, hormone imbalancecan cause some serious consequences. 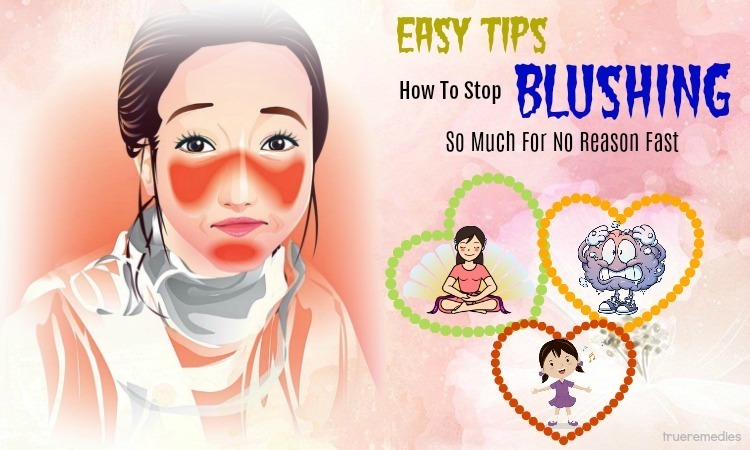 This makes many people anxious and eager to find the right way to treat it naturally and quickly. If you are one of those people, this article is for you. 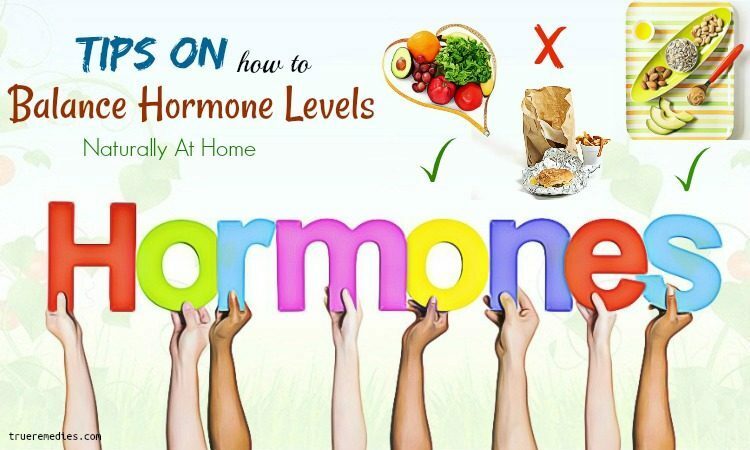 In this article, we provide tips on how to balance hormone levels naturally at home. They are very safe and effective. But first, let’s find out about the hormone information. Thereby, you can have a lot of useful insights on this factor. Promotes the growth and development of cells or tissues. Maintain normal development of reproductive organs and sexual function. Adjust mood and cognitive function. It is located near the back of the skull. It produces the hormone melatonin that helps the brain respond to darkness to stimulate sleepiness. This organ plays an important role in regulating blood sugar levels by producing insulin, amylin and glucagon. It is located at the bottom of the brain. Hormones produced by the pituitary gland are: Growth hormone (decises to the development of the body); Prolactin (stimulates milk production in breastfeeding women, affects fertility and immune system); FSH (regulates the production of eggs in the ovaries and testicles that produce sperm); Hormone Luteinizing (regulates the menstrual cycle of women and together with FSH to produce sperm in men). Testicular produces testosterone (male hormone) and estrogen (female hormone). It produces estrogen, which helps regulate reproduction. Estrogen is also responsible for the female characteristics such as breast development and fat storage. The liver produces insulin-like growth hormone 1 (IGF-1), a hormone that is involved in cell growth. Aging, genetic disorders, diseases, environmental damage, etc. can affect the ability to produce hormones with the exact dosage that the body needs. Hormonal imbalances, whether deficient or excess, including very small amounts, can cause serious health problems, especially for women. What Are Common Causes Of Hormonal Imbalances? The manifestations or symptoms of the problem of hormonal disorders in women can be caused by many reasons. However, the main reason is the imbalance between the two major hormones, progesterone and estrogen. They are very important because they affect the health of the woman. Just a small change in the imbalance of these two hormones will lead to the onset of symptoms. The number of hormones in the body of women on a monthly basis will vary. It depends on factors such as exercise, diet, ovulation,etc. When a woman’s body is ovulating, the ovaries will not produce progesterone. This means that progesterone density is showing signs of decline and estrogen levels begin to rise. This is considered one of the main causes of hormonal imbalance. Use multiple birth control pills. Birth control pills are synthetic estrogens. Birth control pills increase estrogen and progesterone, causing hormonal imbalance in women. Stress can also cause hormonal disorders. Working and living environment is polluted. Using a variety of animal or non-organic products. What Are Common Symptoms Of Hormonal Imbalances? 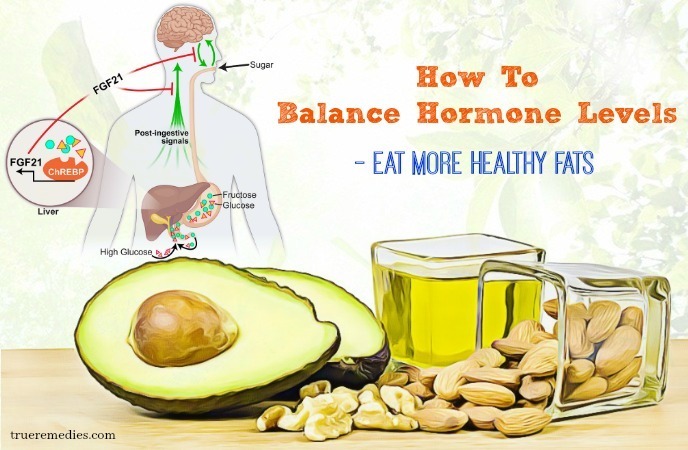 If you have a hormonal imbalance, your body can gain weight no matter what type of food you are eating. Deficiency or excess production of certain hormones can cause the body to retain fat and lose muscle mass. For example, high levels of estrogen, cortisol, or insulin with low levels of testosterone may lead to storing fat in the abdomen. And the low levels of thyroid hormone slow down the metabolism and lead to an increase in body mass. Too much hair loss can be due to thyroid hormone, insulin, or testosterone. However, when women have high levels of testosterone, they often suffer from hair loss. Under certain conditions, a hormone derived from testosterone tries to destroy hair follicles, leading to hair loss. Many people may have been in a situation in which they have some stomach problems because they feel anxious about something. The effect is due to the large release of hormones due to stress. A study conducted at the University of Texas found that a high level of estrogen affects the intestinal microflora. Other studies have shown that high levels of hormones in the ovaries can lead to epilepsy and stomach pain. Our body synthesizes hormones which are responsible for appetite and hunger. The imbalance of these hormones leads to uncontrolled appetite. Doctors have discovered that two hormones need to be balanced to control that- leptin and ghrelin. Leptin reduces hunger when we eat something and ghrelin does the opposite – it tells us when to eat. Breast size changes are one of the most serious signs of hormone imbalances. The level of estrogen decreases abruptly, affecting the moisture and elasticity of the skin. That is why breast can be changed in shape, weight and size. Constant forgetting and loss of concentration can be caused by many factors, including hormonal imbalance in the body. The cause is that the amount of cortisol and estrogen in the body is too low. If you feel tired even when you are resting, this may be a sign of hormonal imbalance. Frequent fatigue may be due to a problem in the production of thyroid hormones. Lack of sleep, or insomnia, is a common side effect of hormone imbalance. In 2007, a nationwide survey of the Sleep Association (USA) showed that progesterone hormone changes affect the body’s temperature control, which may reduce sleep quality. If you have any of these signs or symptoms or have any questions, please consult your doctor. 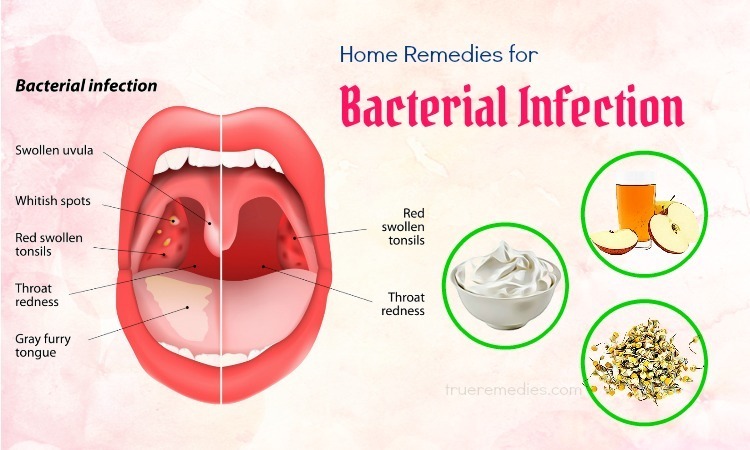 Each person’s condition is different, so please consult your doctor to select the most suitable option.In addition, you should see a doctor after a period of home treatment applying but no results. The above information is about hormones as well as hormonal imbalance. We can conclude that hormonal imbalance is very dangerous. Therefore, the resolution of this situation should be made soon. 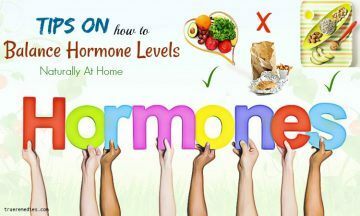 Here are 13 tips on how to balance hormone levels naturally at home that you can choose to apply. Take a look at TrueRemedies.com! 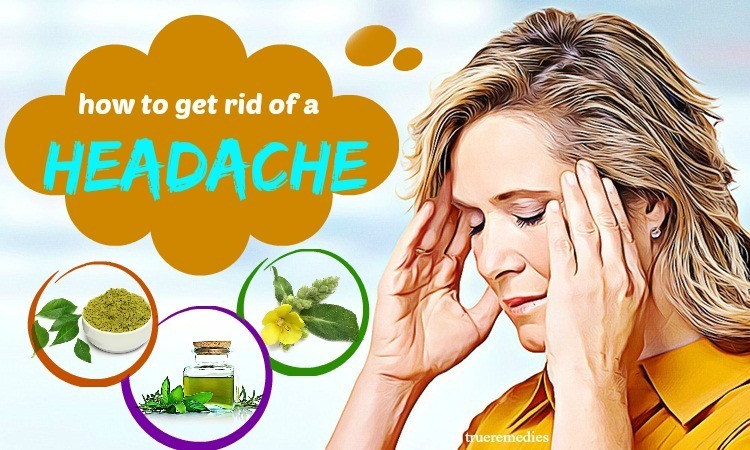 This is the first home remedy in this list of tips on how to balance hormone levels naturally. Eating a variety of foods rich in healthy fatty acids is the key to your hormonal balance. Your body needs a variety of fats to produce hormones, including saturated fats and cholesterol. These essential fats not only promote the production of hormones, but also limit inflammation, promote metabolism and lose weight. Foods made from coconut have anti-bacterial effect. In addition, they can burn fat that is accumulated in the body in a very effective way. Olives contain more monounsaturated fats. Besides, olive oil also contains many nutrients which are good for hormones. This is one of the healthiest sources of fat you need in the diet. Avocado is one of the fruits that are most beneficial to your health. It is rich in monounsaturated fats. The main fatty acid that it contains is oleic acid. Avocado has the potential to improve cardiovascular health, reduce inflammation, control appetite, and contribute to the supply of fiber and nutrients such as potassium. Salmon is also very impressive with its nutritional content as it is one of the best sources of omega-3 fatty acids – a component known for reducing inflammation and supporting cognitive functions. Salmon is recommended by experts to be included in the diet. Walnuts are increasingly used throughout the world. The reason is because it contains omega-3 fatty acids which can raise good cholesterol. High levels of good cholesterol are considered good for helping to improve or prevent hormonal imbalance. A cup of flaxseed contains over 40% saturated fat. Along with that, flaxseed also contains omega-3 fatty acids, lignans, antioxidants and fiber that help maintain good health. Dark chocolate contains high levels of fat as well as essential nutrients. You can find vitamins A, B, E, calcium, iron, potassium, magnesium and flavonoids in dark chocolate. Most people tend to avoid eggs. However, eggs are one of the sources of healthy fats and many nutrients. Therefore, eating eggs in moderation is very good for the body. This is another must-try treatment in this list of tips on how to balance hormone levels naturally. The fried foods (fried) contain a very large amount of fat. Heating up fat at high temperatures will alter the structure of the fat and the way the body absorbs it. Frying food leads to fat oxidation and this negatively affects the hormone levels in your body. So, our body must use antioxidants to remove them from the body. Reducing fried fats in the diet is also a way to reduce the amount of estrogen in the hormone system. In addition, fried foods often contain a lot of salt, but salt is one of the reasons that cause hormone levels disorders. For that reason, limiting eating fried foods is always advisable for you in this case. This remedy is one of little – known tips on how to balance hormone levels naturally. When you eliminate the hormones, your body sometimes keeps them in a surprising way. This is not good for the body because then, hormone levels will be disturbed. Fiber helps prevent this process. The hormones are removed gradually from the body as they pass through the liver and the waste is removed in the gut. Unfortunately, your body can keep them from staying. So, if you give enough fiber to the intestines, you will get rid of this condition. Some high fiber foods that you should add to your diet include broccoli, spinach, bananas, avocados, pears, and oats. Ginseng is known to be the most Adaptogen-rich herb, in which, Asian Ginseng is the most prominent type. Many studies have confirmed the use of Asian ginseng can improve your mental performance, stress tolerance, and hormone balance. It also has great antioxidant effects. Holy basil is also called tulsi. This type of basil is known in India as “anti-aging medicine” . Studies show that the benefits of holy basil include: fighting fatigue and stress; improving immune system; and regulating blood sugar, blood pressure and hormone level. Ashwaganda is often referred to as Indian ginseng. It has been used in East Asian medicine for over 2,500 years. Often used in Ayurvedic medicine, ashwaganda regulates the immune system and reduces anxiety. In addition, it also helps the body balance hormone levels . Used in Chinese medicine, astragalus boosts immunity and reduces the effects of stress. It increases the amount of the substance which helps to prevent the stress. As a result, hormone levels in the body are balanced. Licorice root can increase energy and endurance of the body, while enhancing immune system and hormone balance effectively. However, the use of it should be monitored by a doctor as it may affect your blood pressure. Rhodiolarosea contains a chemical known as salisdroside. This ingredient helps to reduce stress and aging. Rhodiola blocks the production of cortisol and increases the level of stress-resistant proteins. Cordycech is a mushroom that has antioxidant properties. That means it has all the benefits of antioxidant food. This sounds strange when it comes to tips on how to balance hormone levels naturally, but it works. Many people have a habit of consuming a lot of foods rich in omega-6 to replace those rich in Omega-3. Omega 6 is unsaturated fats. It is an essential fatty acid that the body cannot synthesize itself, so you have to supplement it through foods. Omega-3 is similar to omega-6. Because of the unknown difference between them, many people tend to supplement the body with too much omega-6 instead of balancing the consumption of them. Omega-3 fatty acids are an important component of brain cells. It plays a very important role in signaling to cells in the brain. Studies have shown that omega-3 fatty acids help to prevent hippocampal hypoxia and reduce inflammatory responses. A study from Pennsylvania State University showed that the 1: 1 ratio between omega-3 and omega-6 (the body’s gold ratio) is increased sharply to 10: 1 or 20: 1. This is one of the major nutrient factors that cause many diseases in the United States, including imbalanced hormone. Therefore, moega-6 vegetable oils such as sunflower, maize, canola, soybean and peanut oil should be minimized and replaced with natural omega-3 sources such as wild fish, flaxseed, chia seeds, walnuts and animal products. 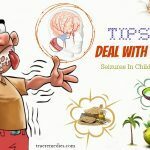 The next one in this list of tips on how to balance hormone levels naturally is treating poor digestive syndrome. Poor digestion syndrome not only affects the digestive tract but also causes hormonal problems. Digestive problems have been shown to be associated with the stimulation of autoimmune responses, including arthritis and thyroid disorders. 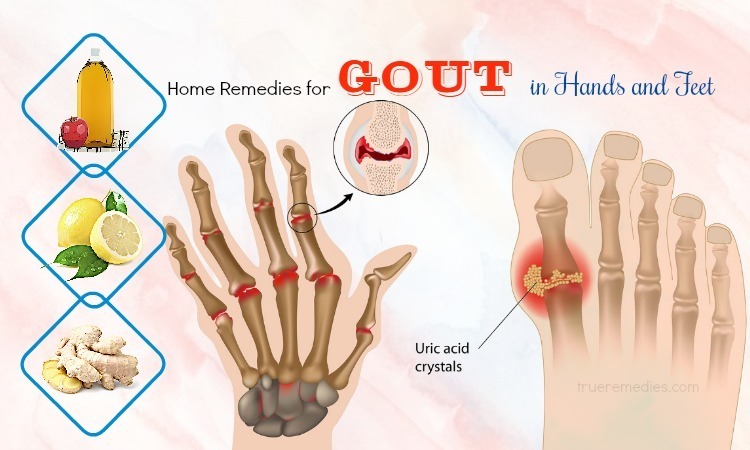 When undigested food, such as gluten, leaks through your intestines into the bloodstream, it causes inflammation and affects the entire body, especially the glands that are prone to infection (such as the thyroid gland). Most people with poor digestion syndrome often have a deficiency in the intestinal bioavailability. Probiotics are healthy bacteria that can improve the production and regulation of important hormones like insulin, ghrelin and leptin. To improve the condition, you should stay away from foods that can harm the digestive system, such as processed foods, gluten, and sugar. Instead, you should eat foods that can support the treatment of these syndromes such as fermented vegetables and high fiber foods like vegetables and seeds. In addition, you should also add digestive enzymes and bio-preparations to the body to improve your bowel membrane, balancing hormone level. 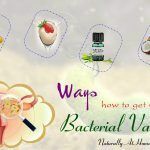 No wonder, this is definitely one that should be mentioned in this list of best tips on how to balance hormone levels naturally. Another way to get rid of toxins in your body is to avoid using conventional body care products made with potentially harmful chemicals such as DEA, parabens, propylene glycol and sodium lauryl sulfate. It is better to use natural products with ingredients such as essential oils, coconut oil, shea butter and castor oil. Another thing to consider is the use of plastic bottles and aluminum cans. It is better to replace them with stainless steel and glass items. This can make a big difference. Removing the toxins from your body will help you quickly balance back to normal hormone levels. One of the best activities that boost your health is the intensity of your workout. Exercise is generally good for hormonal balance as it reduces inflammation. Besides, it can also help you maintain a healthy weight, relieve stress, regulate your appetite, and support sleep. Exercise boosts endorphins, testosterone, growth hormones or insulin and can help your body regulate the production and use of hormones. Exercise can also boost your immune system, allowing your cells to excrete glucose (which reduces insulin), protect you from depression, and keep you awake without caffeine. People with hormonal imbalance should not abuse the exercise with high intensity. You should exercise in a short amount of time (about 20 minutes three times a week). Remember that each exercise can be optimal for one person but not the other. Sleeping from 7-8 hours per night is ideal. Lack of sleep can be one of the worst habits that contribute to hormonal imbalance because the hormones in your body work according to an available schedule! Cortisol, for example, which is a key component of stress hormones, usually work in the middle of the night. Lack of sleep disrupts the body’s biological schedule, causing it to malfunction. Therefore, those who go to bed late never really get to rest. Lack of sleep, long-term use of corticosteroids and chronic stress are three of the biggest contributors to high cortisol levels. “Stress can lead to changes in the serum levels of many hormones, including glucocorticoids, catecholamines, growth hormones, and prolactin,” a report published in The Journal of Endocrinology and Metabolism in India states. Sleep helps keep the stress hormone balance, creates energy and allows the body to recover properly. Excessive stress and insomnia are associated with high levels of morning cortisol and decreased immunity. This negatively affects performance and causes the body to become very sensitive, leading to anxiety, weight gain and depression. To maximize hormonal function, you should go to bed at 10 o’clock and create a sleep-wake cycle on time . Moderate amounts of caffeine may be okay for some people, but excessive caffeine intake leads to insufficient sleep. Caffeine, which can stay in your body for six hours, is a chemical that affects the central nervous system (CNS) and increases the heart rate, boosting alertness and changing the way your brain produces hormones. Alcohol can make you quickly feel sleepy, but they negatively affect the quality of sleep. Therefore, instead of drinking alcohol and coffee, you should drink matcha tea or green tea if you need alertness to work. Although studies have also shown that long-term consumption of caffeine-based drinks such as coffee is associated with a lower risk of type 2 diabetes, if you are facing an imbalance of hormone levels, you should stay away from this type of drink. In addition to limiting coffee, you should stay away from alcohol as it may adversely affect liver function. Alcohol can often “contribute to the dominance” of estrogen, which interferes with the pancreas’s function, increasing the risk of liver disease and low testosterone. This causes you to face chronic stress and malnutrition. You need to remember that the liver is important for hormonal balance and over 500 different functions in the body! Therefore, it is very important to protect it. Vitamin D3 supplement is the next remedy in this list of tips on how to balance hormone levels at home. According to an article in the American Journal of Clinical Nutrition, the role of vitamin D3 in promoting health is paramount. Researchers have found that vitamin D affects “adaptive immune system, innate immune system, and insulin secretion of pancreatic β cells, blood pressure, brain and fetal development. “Vitamin D almost acts as a hormone in the body and is important for maintaining low levels of inflammation. This is why people living in the dark areas often suffer from depression and other seasonal health problems unless they are taking vitamin D supplements. Sunshine is really the best way to optimize levels of vitamin D. Most people should supplement with around 2,000 IU to 5,000 IU of vitamin D3 daily if they live in the dark areas. Therefore, it is recommended that you should use other safe contraceptives to prevent pregnancy. In order to know how to balance hormone levels naturally at home, you need to eradicate toxins out of your body through avoidance conventional products for body care that are made from potentially-harmful chemicals including parabens, DEA, sodium lauryl sulfate and propylene glycol. The better alternative for them is natural products made with natural ingredients like coconut oil, essential oils, castor oil and shea butter. Here are some details about using essential oils for balancing hormones . Fennel essential oil: Gut health-related problems are associated with autoimmune reactions, including thyroid disorders. This is when fennel essential oil comes into the picture. This oil helps to relax your body, increase your metabolism, alleviate inflammation, and improve digestion. Simply rub 2 drops of fennel essential oil onto your stomach or add a few drops to a cup of warm tea or a glass of warm water and drink it. Clary sage essential oil: It assists in balancing estrogen levels as it consists of natural phytoestrogens. You could use this plant to regulate your menstrual cycle, eliminate PMS symptoms, and deal with PCOS and infertility. Even, it can reduce the risk of ovarian and uterine cancer. Clary sage also acts as a natural treatment for anxiety and depression or any other emotional imbalances . Take 3-5 drops of clary sage essential oil to diffuse so you can balance your hormone levels as well as manage stress. For pain and cramp removal, massage 5 drops each of clary sage and coconut oil onto your stomach or any other problematic areas. Lavender essential oil: It can promote emotional balance because it is able to treat depression, stress, moodiness, and anxiety. Using lavender also promotes restful sleep, which will balance your hormone levels as well. Mix 5 drops of lavender oil to warm bath water, diffuse 5 drops of lavender oil, or apply 3 drops of this oil to your temples, neck, wrists, and back. Thyme: This oil boosts progesterone production, helping to relieve health problems such as PCOS, infertility, depression, fibroids, insomnia, hair loss and menopause . In order to balance your hormones naturally, you can add 2 drops of this oil to your warm bath water and soak in this water during your bath. Alternatively, rub 2-3 drops of equal amounts of coconut oil onto your stomach. Sandalwood: This oil could be used to improve your libido, alleviate stress, boost mental clarity, and enhance relaxation. Its fragrance also triggers peaceful feelings and reduce general stress that could result in hormone imbalances. Inhale sandalwood directly right from the bottle, apply about 3 drops to the bottom of your feet and your wrists. Sometimes, it is necessary to use synthetic hormonal treatments like thyroid medication or insulin to deal with hormonal imbalances. Nonetheless, most people could feel better by simply making some lifestyle changes mentioned above. People with diagnosed hormonal disorders including type 1 or 2 diabetes, Addison’s disease, Cushing’s syndrome, Adrenal Insufficiency should consult their doctor prior to discontinuing the use of medication. 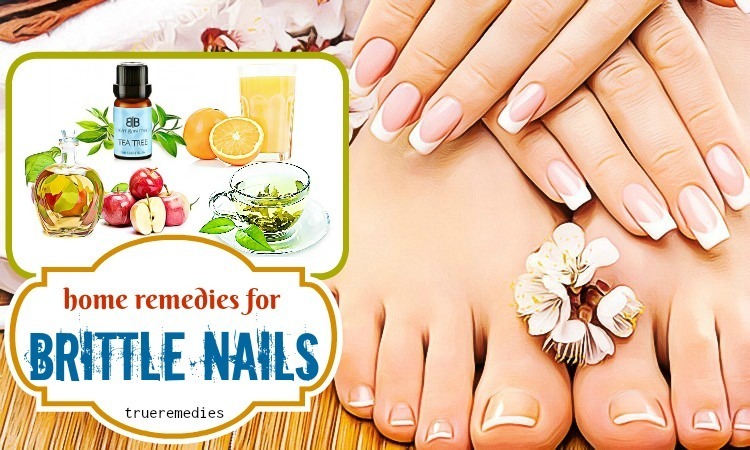 Natural tips on how to balance hormone levels above could still help you get through your ailment and greatly decrease symptoms, yet these recommendations should not take place of medical supervision. As hormone imbalances vary widely in regard to the severity of symptoms, you should always keep track on your feelings, assess how you respond to various treatments. 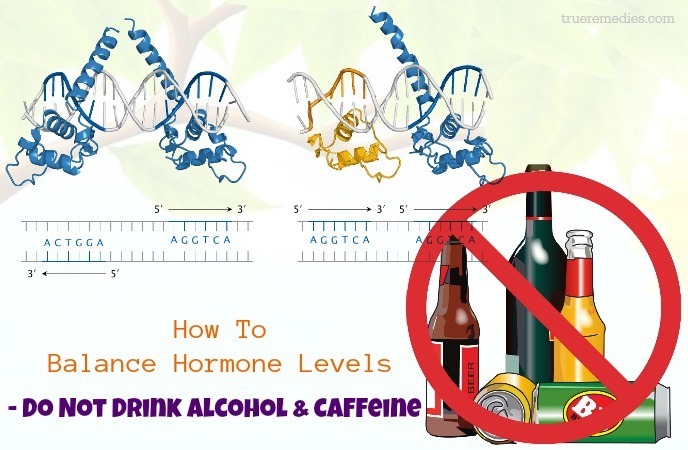 So we just introduced you tips to help you gradually balance the hormone levels in your body. We hope that they can solve your situation. 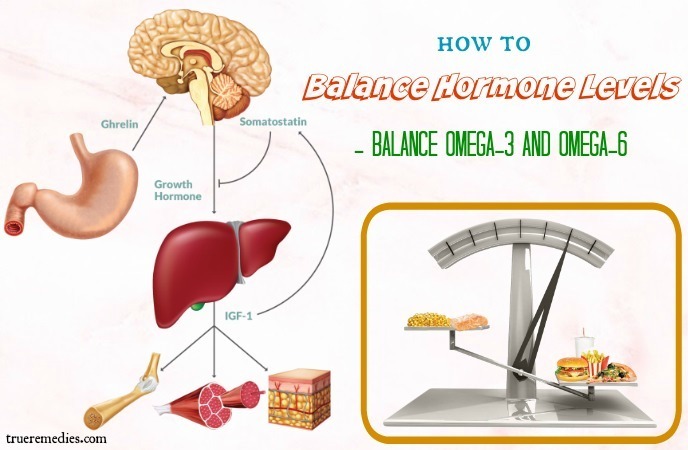 If you have any contributing ideas about our article of “Top 13 Tips On How To Balance Hormone Levels NaturallyAt Home” introduced in How To Category, do not hesitate to drop your words below this post. We will answer as soon as we could.